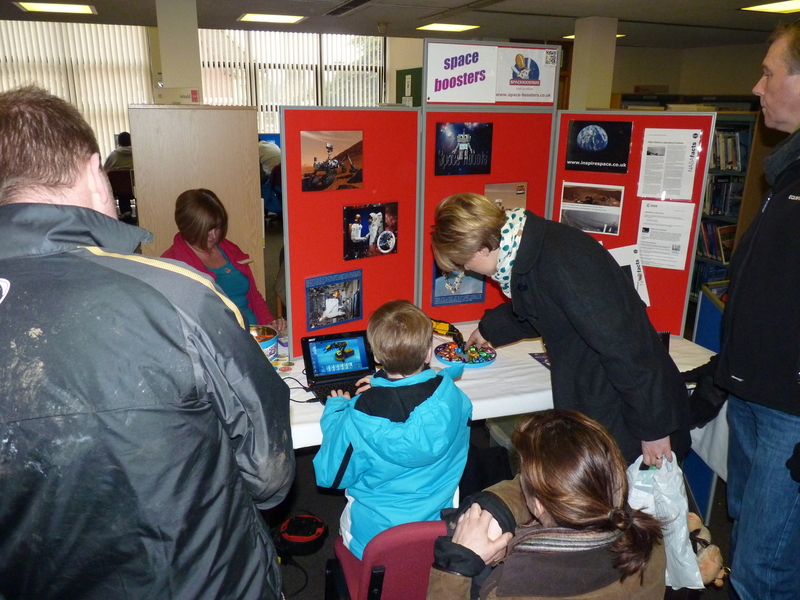 The ‘Spaceboosters’ stand with a space robotics theme proved very popular. Young and old alike used a computer controlled robot arm to capture chocolates and deposit them for eating. The ‘Inspirespace’ stand with a built in young astronaut photo opportunity was used throughout the day.